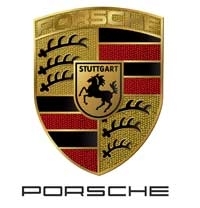 BERLIN (Bloomberg) -- Former Porsche SE Chief Financial Officer Holger Haerter told a German court on the first day of his trial that he didn't make misleading statements in 2009 when the company refinanced a 10 billion-euro loan ($12.5 billion). Haerter denied charges he downplayed Porsche's liquidity needs when negotiating with BNP Paribas about a 500 million euro share of the loan. He said prosecutors didn't understand the complex terminology used in the discussions. "I am aghast at these charges because I have always been very meticulous in all my declarations," Haerter, 66, told the Stuttgart court today. "It has never been my way to deceive business partners and I didn't do it here." The case is part of a broader criminal investigation over Porsche's unsuccessful hostile bid for Volkswagen AG using a derivatives strategy. Stuttgart prosecutors are still probing Haerter and former Porsche CEO Wendelin Wiedeking on market manipulation and breach of trust allegations. Haerter is on trial in Stuttgart with two other Porsche managers, who under German law can't be fully identified. The two men also rejected the charges in court today. In a March 19, 2009, statement to BNP Paribas, which Haerter signed and the two other managers helped to set up, they understated Porsche's liquidity needs by 1.4 billion euros, had all purchase options the company then held on Volkswagen shares been exercised, prosecutor Reto Woodtli said when reading the indictment. They also didn't mention 45 million put options Porsche had sold on VW shares, he said. The statement declared "that the 12.5 billion-euro loan was enough to finance an acquisition of 70.8 percent of VW shares," Woodtli said. "In reality, a much higher amount would have been needed as all the accused knew." Haerter replied that the prosecutors mixed up the terminology. The statement didn't discuss liquidity needs and instead used then net purchase price for VW shares, he said. The indictment fails to take into account that Porsche would have earned 1.4 billion euros from cash settled call options it owned. They needed to be subtracted from the gross price, he said. "I never claimed that 12.5 billion euros would have been enough to acquire 70.8 percent of VW," Haerter said. "It wasn't BNP who inferred there was something wrong with the statement, only the prosecutors did." Dirk-Michael Mitter, a German spokesman for BNP, declined to comment. Frank Gaube, a Porsche spokesman, declined to comment. Under German law, loan fraud doesn't require that a creditor is actually deceived. The law punishes incorrect statements about the economic situation of a business that seeks a loan, regardless of the actual effect of the statement on the creditor. Porsche and VW agreed to combine in 2009 after Porsche racked up more than 10 billion euros of debt in its unsuccessful hostile bid. Porsche started accumulating VW shares in 2005. A merger between the two companies was scrapped last year because of the lawsuits. To avoid further delays, VW purchased the Porsche auto business and completed the transaction on Aug. 1. Stuttgart prosecutors said last year their probe into Wiedeking and Haerter had "solidified" suspicions Porsche didn't adequately inform the market between 2007 and 2009 about its intentions to take control of VW. They also added breach of trust allegations over the use of derivatives, saying the instruments may have put Porsche at the risk of bankruptcy. It's not clear when that part of the probe will be finished, Claudia Krauth, a spokeswoman for Stuttgart prosecutors said in an interview yesterday.